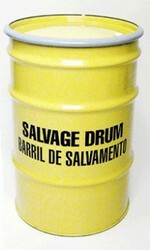 These strong steel drums prevent spills and leaks during transportation of damaged or leaking drums. 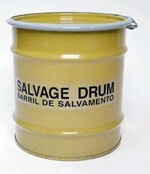 Designed, manufactured and certified to meet UN standards. Will accept open- or closed-head steel, plastic, fiber and composite containers. 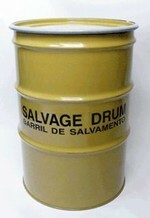 Supplied with bolt-type ring, bolt, nut and rubber gasketed cover. Safety yellow exterior color. 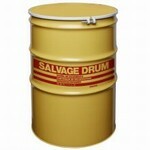 All drums (except 8-gallon) have corrosion-resistant epoxy-phenolic interior lining. 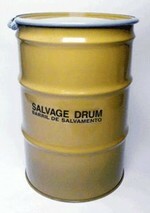 85-gallon drum is also available without lining.